As a recently once-again single woman of 22, to say my friends sounded the “Dani’s Single Siren” and have taken the opportunity to try and set me up with their selection of eligible men would be an understatement. Being that I’ve never been fond on the idea of rebounding, relationship hopping or accepting a date invitation based solely on the idea of “Oh well it’s a free dinner.” I have done my best to politely fend off these advancements. Me: *Monotone voice* Oh yeah? Friend: Yeah, I mean <insert usual build-up of what a nice, funny, sweet guy P.C. is and what a good family P.C. 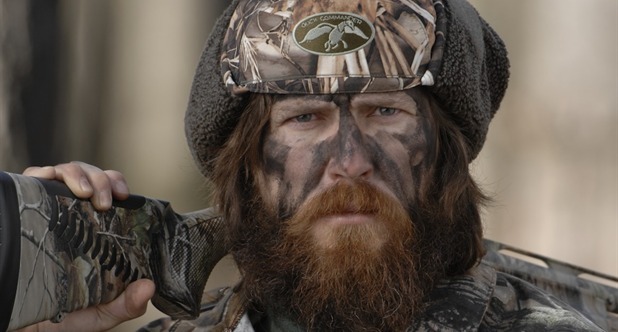 comes from> AND he’s a duck hunter. Okay, let me say I wouldn’t have dedicated a blog post to this topic if it was a one time conversation. No, this same dialogue is turning into the Groundhog Day of dating conversations. Over and over and from a variety of friends I keep hearing the same thing. Well I don’t know if it was five gallon bucket of shotgun shells by my garage door, the box of 22 Remington’s laying on my Victoria’s Secret catalog, the 30 minute conversation I had with my boss over Duck Dynasty, or the realization that my four best guy friends as well as quite a few of my former flames are avid waterfowlers, but it gradually dawned on me why I’ve developed this reputation. For the time being there’s a good chance I will continue to turn down the requests of double dates with friends, but I feel like it should be known I’m NOT prejudiced against other forms of outdoors men. My stance has been and still is “I can’t date a guy girly-er than me.” If you can’t picture what kind of P.C. this brings, take the lyrics from Eric Church’s “Guy’s like me” or Luke Bryan’s “Country man” and you’ll have it. Ahhh take it as a compliment? You “aint no yuppie girl” haha! Haha no… I’m definitely not yuppie.